Experiences are felt on many levels. Everything we see, hear, smell, touch and taste are mixed together into a cocktail within our infinitely wise mind. Describing something as complex in mere words and pictures, I must say is by far one of the toughest things I’ve done yet. As far as subjects go, The Himalayas is the most majestic one of them all. 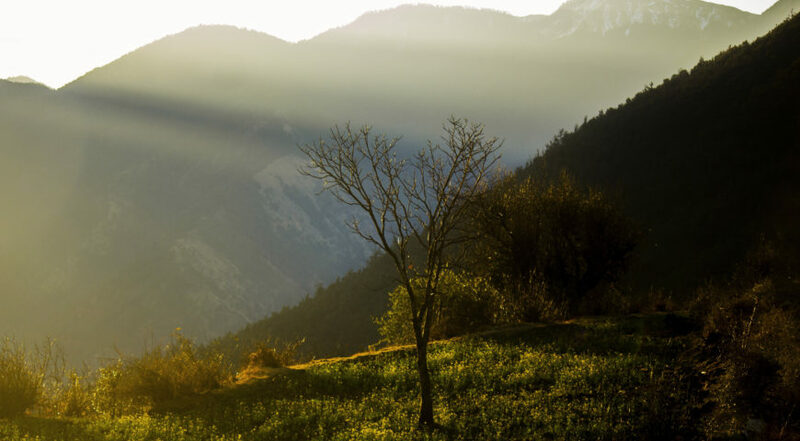 Simply put, it is the mother of all creation, which begs the question “If god made us in his image who made the Himalayas?”. 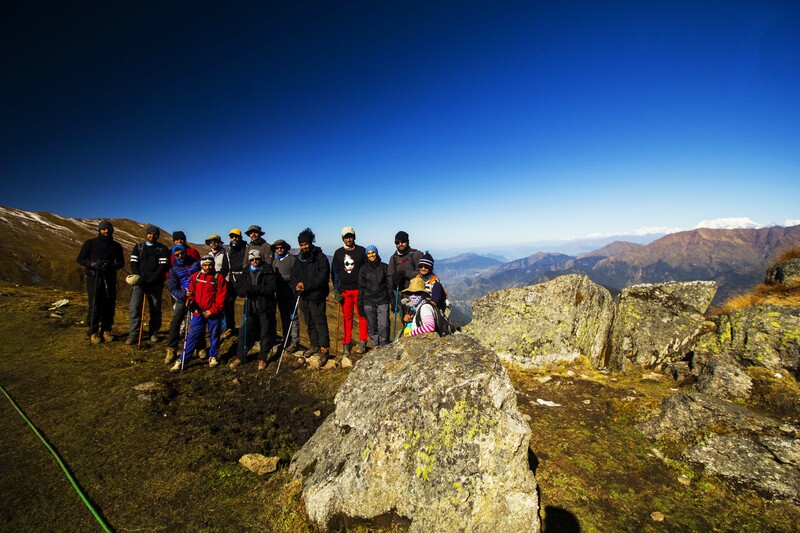 To start this monumental journey into the Himalayas, we at Madventures chose to do “The Roopkund Lake trek”. Several discussions, a few years of travel and months of research later, here we are still meeting people and travelling with them but now to The Himalayas. Journey begins at the zero! Our journey started at Lohanjug, a small village amidst the foothills of the Garhwal Himalayas in Uttarakhand. 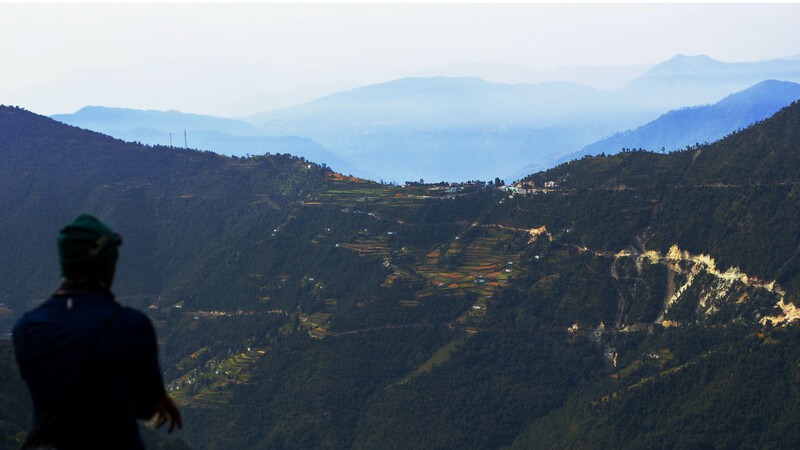 Though the trek starts here, the gruelling 11 hour roller coaster ride, in a shared jeep, to get there deserves a mention. The Jeep rides can be made a little more comfortable by spending a few extra bucks on a personal vehicle but that in my humble opinion would kill the fun of the ride. I arrived at Lohanjung a few days before the group, which allowed me to take a swashbuckling 2 day trek to Brahmatal, a trail that is normally done in 4 days. 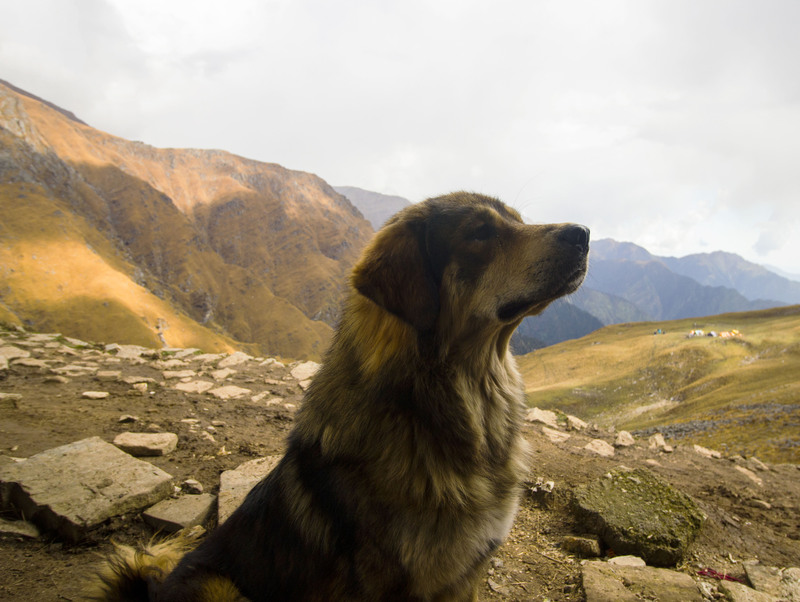 I will talk more about this trek in the next blog! When the group arrived at Lohanjung, we introduced ourselves to each other, shared some interesting stories from the train journey getting to Katgodham, took some time to memorize each other’s names and retired for the day. 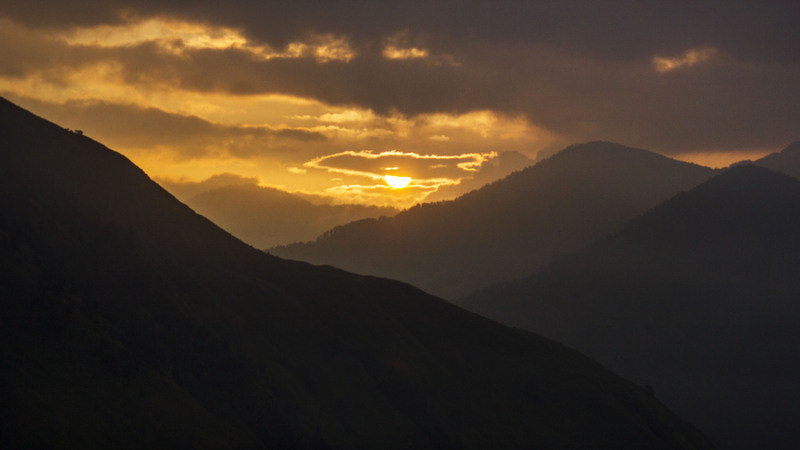 The sun slowly rising from between the mountains to light up the village. The next morning few of the folks and me walked up to a small clearing with a cluster of farms .The sunrise we witnessed here was one for the ages. We then joined the rest of the group at the hotel. 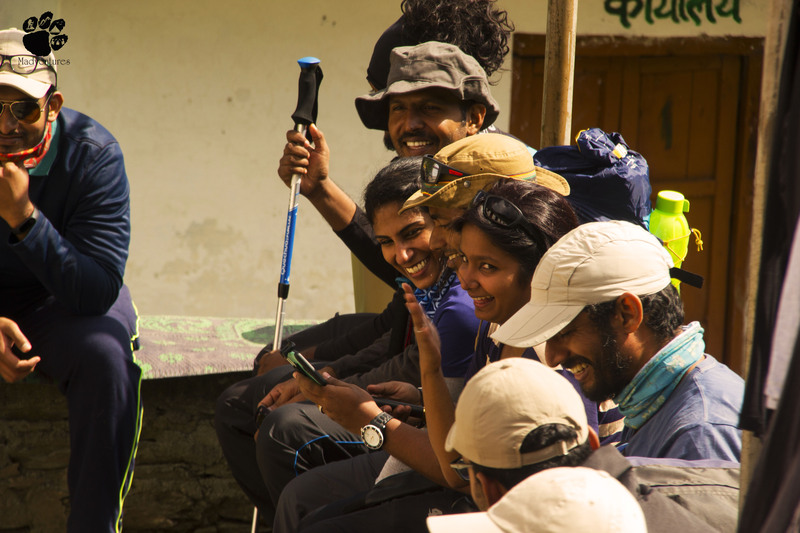 Once everyone was up and about I introduced them to the guides and conducted the pre-trek briefing. 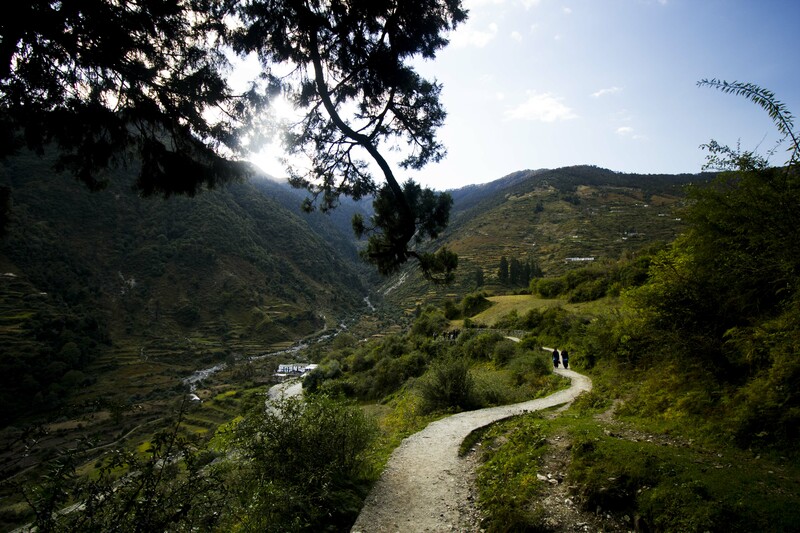 We started the trek around 9 AM along a very special trail. 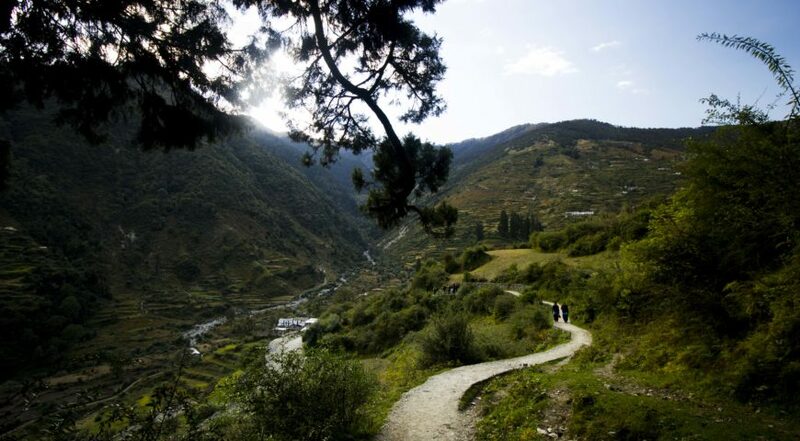 Instead of taking the trail through Wan or the Curzon trail to Didina, which are two the most commonly used trails, we had the unique opportunity of taking the trail through Kuling village. This was our first stop for some chai and conversations. Our guide Bhuvanji, better known as Pradhanji, hails from here and this made the experience furthermore homely for us. In a sentence, Kuling is home to the most hospitable people living amidst the most picturesque farms. The walk from Kulling to Didina was a quaint trail through the forest with beautiful streams and waterfalls. The occasional old villagers carrying a massive stack of grass on their backs added to this beauty with the bright smiles on their faces. The sounds of the of wind , animals and birds singing with the sound the bells on our mules chiming made for an indescribably hypnotizing experience as we walked. After this surreal walk we reached Didina and turned around to see a view of Kuling which is quite literally breathtaking. 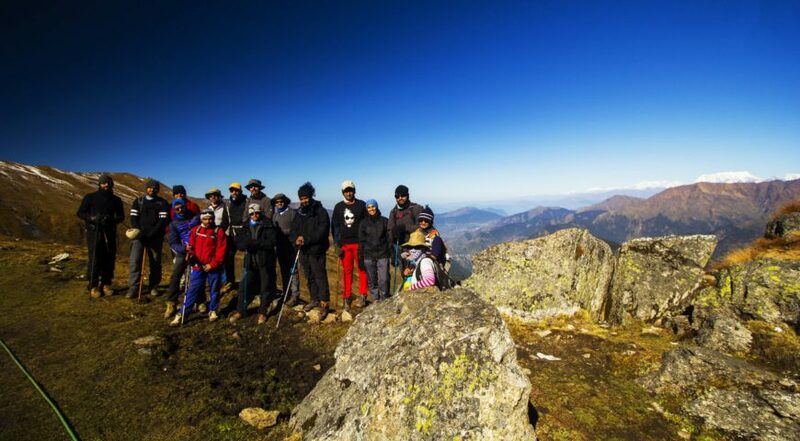 After an evening of fun, food, laughter and much needed rest, we started the third day of our trek. 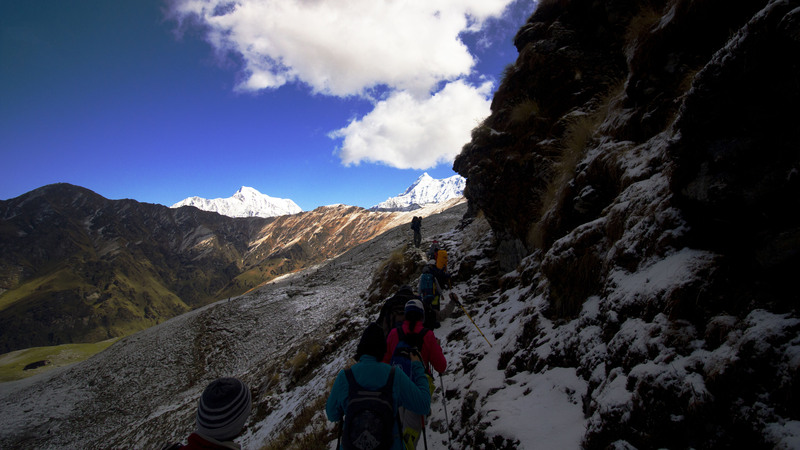 We had just started the climb up to Ali Bugyal when another amazing view hit us. We saw the entire trail thus far from here. At this point we started the first real climb of the trek. The 3 hour ascent from Didna becomes worth every ounce of energy spent as soon as we see the first sight of Ali Bugyal – one of Asia’s largest high altitude Alpine meadows. The next hour’s walk was across this peaceful meadow to Bedni bugyal . 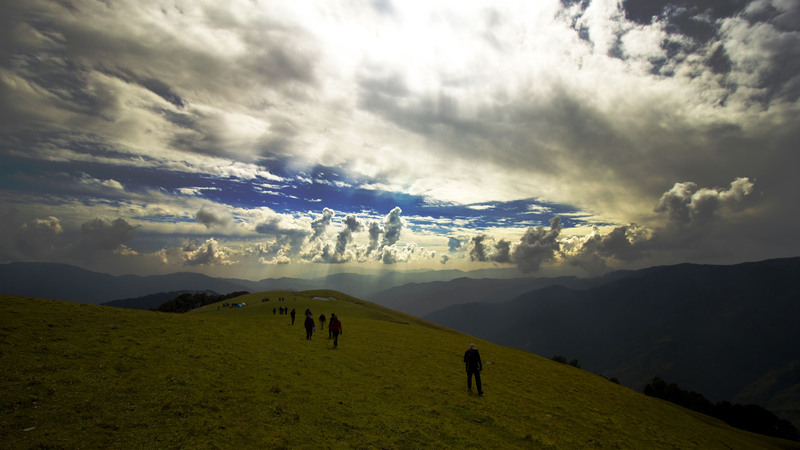 The meadow with the picturesque Himalayan skies was a perfect recipe for nirvana. 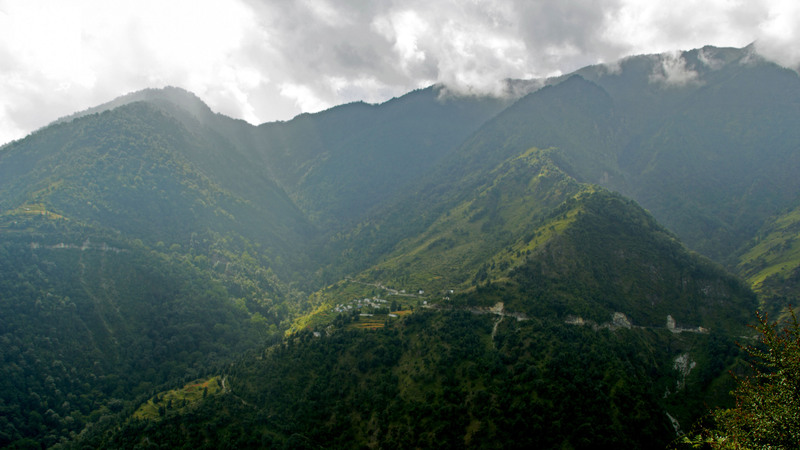 Our next camp, Bedni Bugyal was one of the most picturesque campsites of the trek. 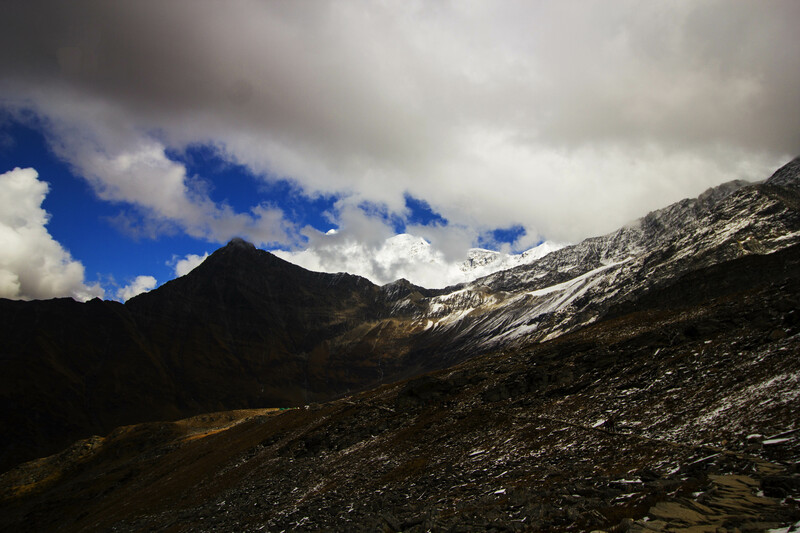 Here we have a stunning view of Trishul, Nanda Ghunti, Chaukamba, Neelkanth and few other peaks of the Garhwal Himalayan Ranges . As we stood there basking in the evening sun, a sudden barrage of hail and snow transformed the whole campsite from green to white. Nature was still not done with the surprises we witnessed the magnificent sunrise here which was enough to make us feel accomplished but there was more to come. From here we moved further ahead to Patar Nachauni, our coldest campsite yet. A scenic relaxing walk along the mountain sides and about 5 hours later we reached Patar Nachauni, a passageway where we could camp before a tedious climb to Kalu-Vinayak the next day. 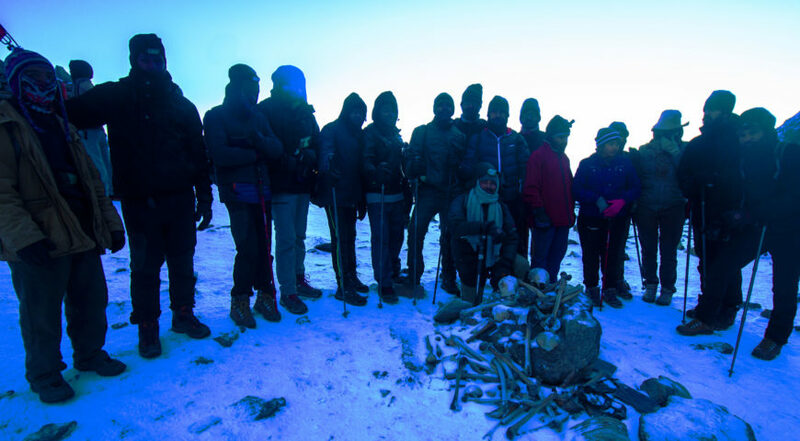 We retired for the day at Patar Nachauni and were in for a special treat here as Pradhanji told us the legends of the bones in Roopkund Lake with the Garhwali songs that narrate the conversations in the story. 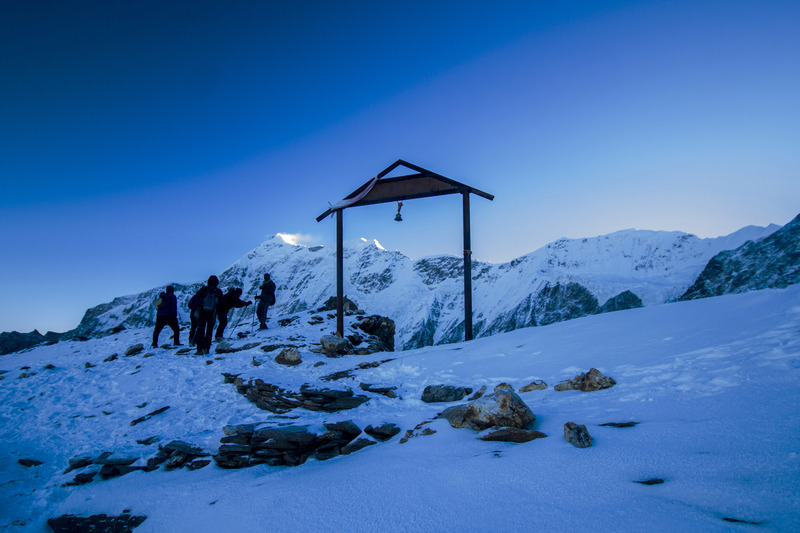 We forgot the bone chilling cold as we listened to the story of an ancient Grahwali king and his journey to Nanda Devi in awe. Our friend greeted us at Patar Nachauni. 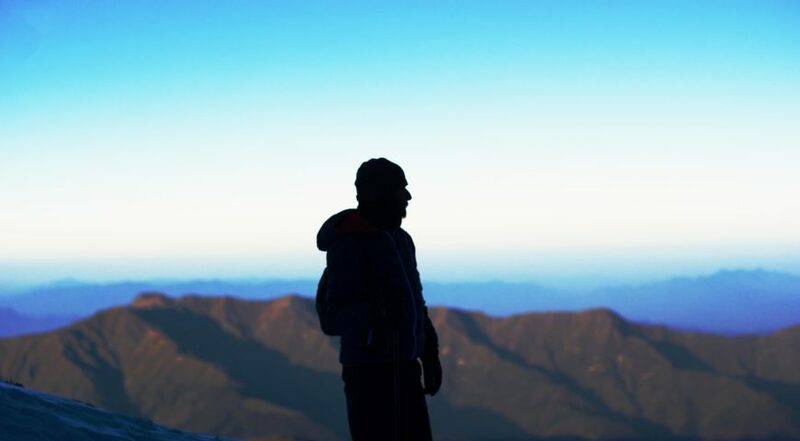 The next morning started with the long and steep climb to kalu-vinaya once on this ridge we get the first view of Nanda Devi and Junargali pass . 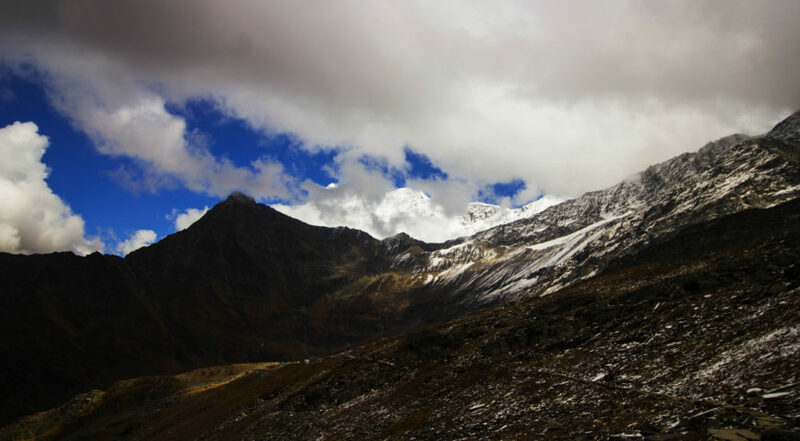 The walk from here to Bhagwabasa is quite an easy one if we discount the cold and the altitude. 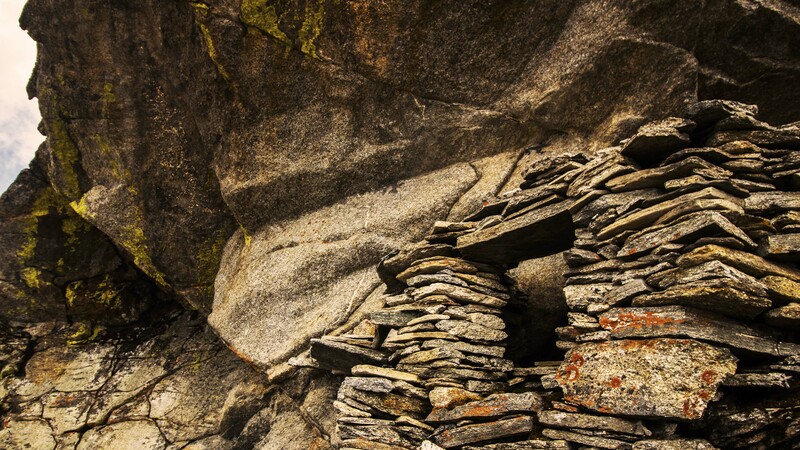 As we walk towards the campsite we come across a rather curious stone cave. 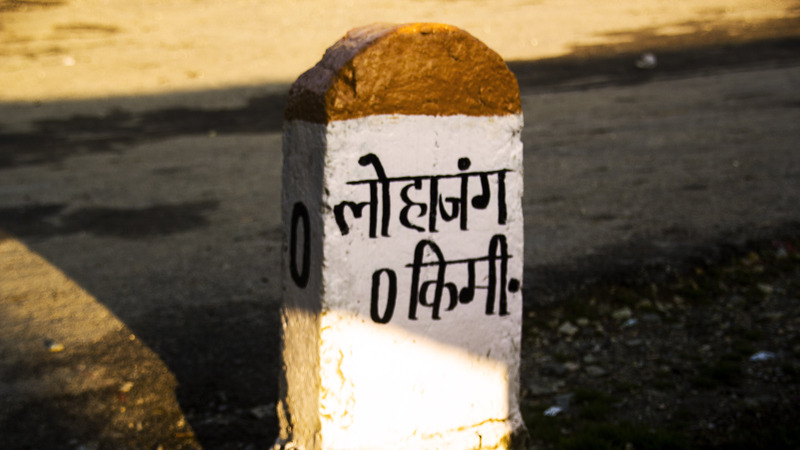 This according to locals is The Bhagwabasa, it translates to The tigers lair. 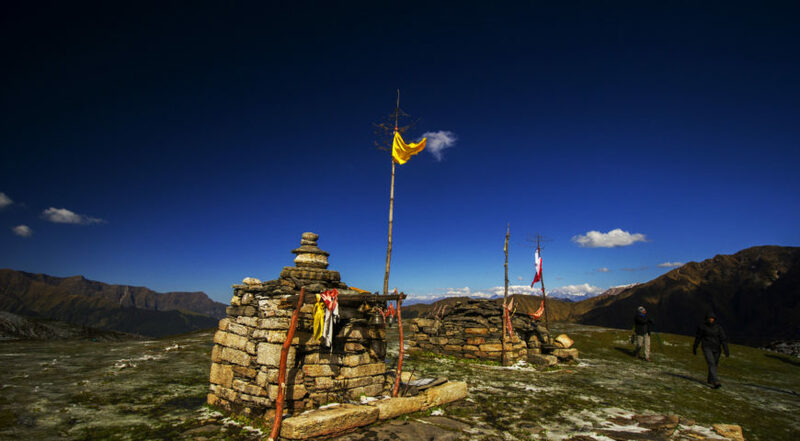 The local legend says this is the place where Nanda devi requests her pet tiger to part ways and come no further with her on her journey to Mt Kailash, hence the name. We were surely in for an extremely cold night at Bhagwabasa but a few cups of hot tea and soup every hour lifted our spirits and made room for some more conversations. Everyone mentally prepared for the summit as Pradhanji and me briefed them on importance of attitude to climb the altitude. We wrapped up the formalities such as the SPO2 level checks, the heart rate checks and retired for the day. 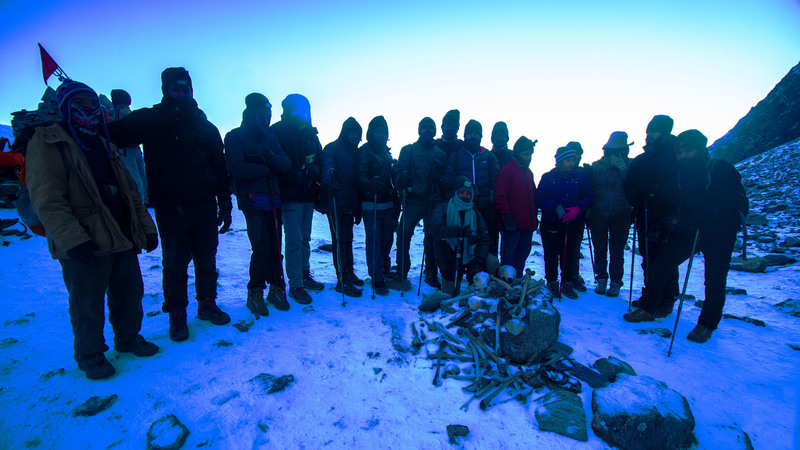 The Summit day started at 3AM , sleep deprived, freezing to our bones at subzero temperatures with a long, daunting climb ahead of us and the thought of having our personal moment with the Mystic lake, we started the climb after a large helping of Dalia ( Wheat porridge) we started the walk. The 3 hour ascent from here to the lake was a test of our endurance and fitness in extreme temperatures. The excitement of the impending summit and the adrenaline kept pushing us forward as we followed the lead of our stupendous team of guides. With each step we inched closer to the goal and the rush we felt as we climbed the last few step up with every ounce of energy in our bodies is something that can only be experienced. 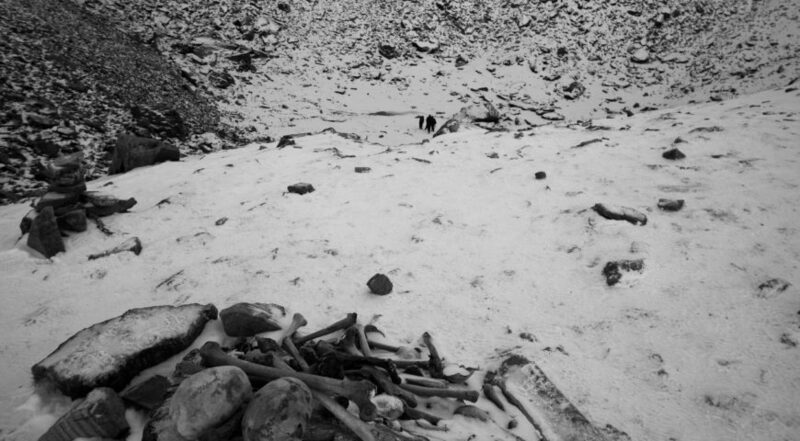 Then just like that we were standing with the heap of bones and skulls at our feet and the frozen lake in front of us, most of us with tears streaming down our faces, speechless. The next hour between the Lake and Junargali pass was mostly a blurred collage of feelings and experience that deserve more than just few words and pictures. The walk down from The Roopkund Lake summit to Lohajung took us a two really long days. We first walked to Bedni Bugyal, camped overnight and over the course of the next day we walked back to Wan with heavy hearts reminiscing the good, bad and ugly moments of the trek. We took a jeep back to Lohajung from Wan, this officially brought the trek to an end. Over the years many people have trekked these trails and found themselves on a journey of utter amazement. 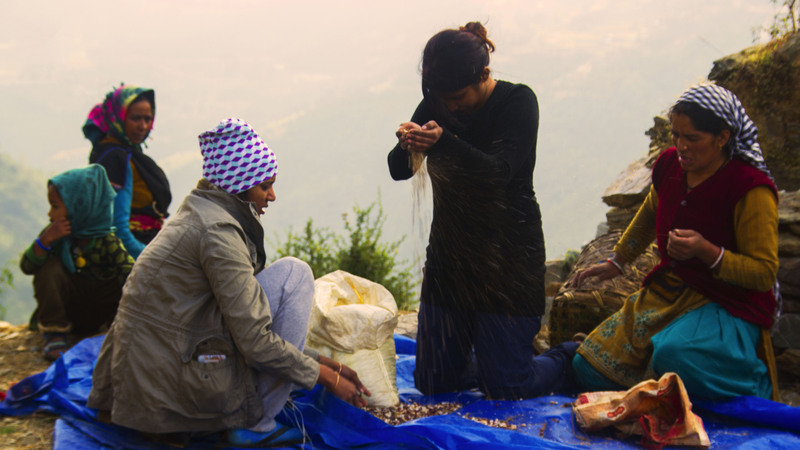 Our experience was made extra special thanks to all the stories, conversations and the unforgettable Garhwali hospitality extended to us by our crew. We may have come here as tourists but left adding new members to The Madventures Family. 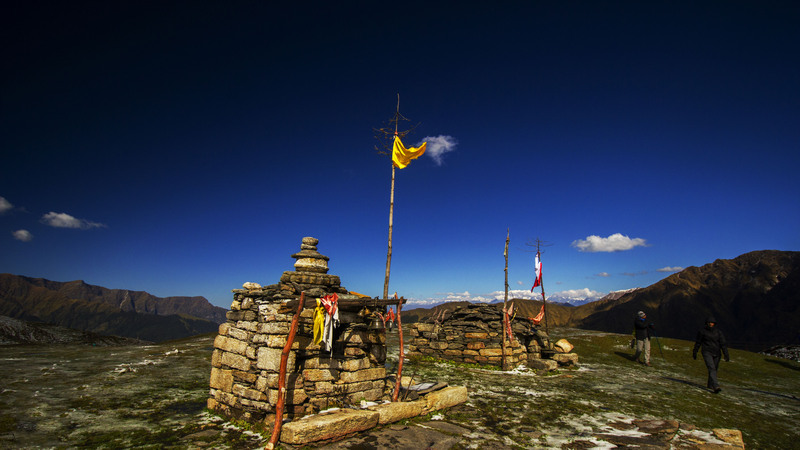 Recommendations: I highly recommend spending a couple of days in Lohanjung, Kuling or Wan before the trek. 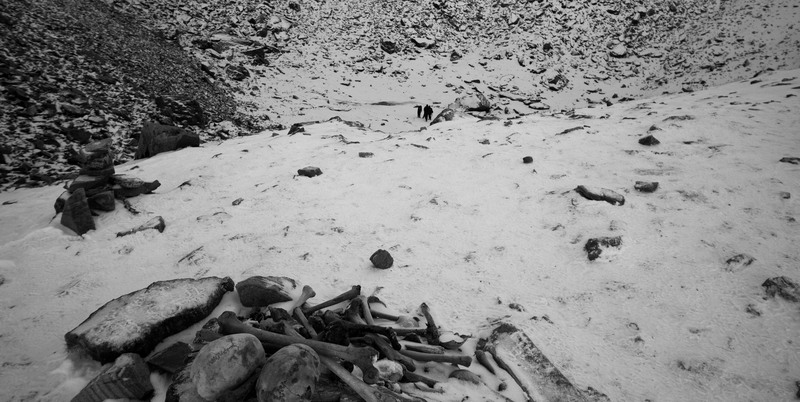 These a little villages at the base of Roopkund worth spending some time at for some soul searching. Kuling is ideal for musicians, artists, photographers or anyone who is looking for inspiration. Wan has a hotel to stay at. To stay at Kuing you can reach out to our folks at Madventures. 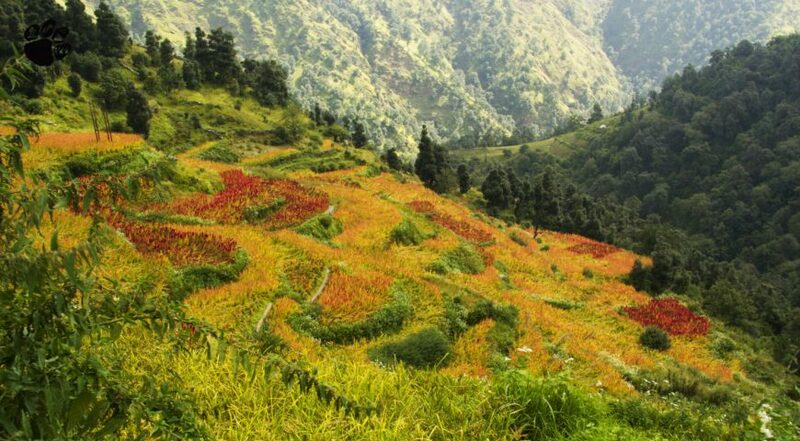 For first timers you can sure spend some time at Nainital or Bheemtal these are popular tourist destination between Lohajung and Katgodham. Rishikesh is about 8-10 hours by road from Lohanjung and has a bundle of activities to offer ranging from yoga to rafting. The bungee/canyon swing at Rishikesh is also something worth trying if you are an adventure enthusiast.